An aqueous biphasic system has been used for selective extraction of U(VI) ions from Th(IV), Sm(III) and Ce(III). Role of different biomolecules like morin, catechin, hesperidin and 4-hydroxycoumarin have been studied. Morin serves as the best reagent when citrate ions are used as a masking agent. Citrate forms stronger complexes with the other metal ions than morin thereby restricting their extractions. Contrarily, U(VI) forms a stronger complex with morin than citrate and is selectively extracted under the same conditions. It was also observed that morin can act as a spectrophotometric reagent for ratiometric detection and analysis of U(VI) ions. The online version of this article ( https://doi.org/10.1007/s10967-019-06494-w) contains supplementary material, which is available to authorized users. R. K. gratefully acknowledges the University Grants Commission (UGC), New Delhi, India (Ref No. 19/06/2016(i)EU-V dated 14/06/2017) for providing necessary fellowship. K. S. acknowledges UGC CAS V for funding. 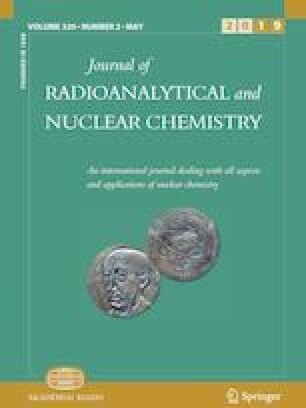 The authors are thankful to Prof. Susanta Lahiri, Head, Chemical Sciences Division, Saha Institute of Nuclear Physics, Kolkata, India, for providing the uranium sample.